Driving on old or worn out tyres can be illegal and dangerous. But when does your car need new tyres? Every tyre has four wear markers spaced evenly around its circumference. They usually look like small blocks in the tread. 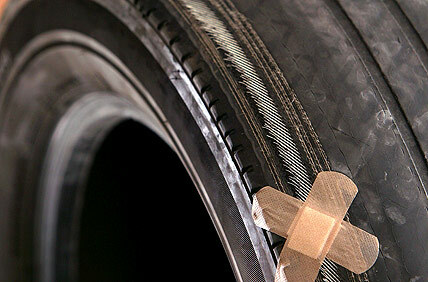 Often there are triangles or small arrows on the upper part of the sidewall that show you where the wear markers are. If the wear marker is flush with the tread your tyre has 1.6mm of tread, or less, left. It also means that the tyre is unroadworthy (which could earn you a fine from the police or issues with insurance in the event of a crash) and should be replaced straight away. Remember, too, that tyres can wear unevenly (various car brands are worse than others, and fast driving or towing can also change the wear patterns), so check across the entire face of the tyre to ensure there is enough tread depth. But a good rule of thumb is to replace the tyres when the tread depth gets to around 2mm, something that’s easily checked with a tread depth meter – often they’re handed out free at tyre outlets or can be purchased relatively cheaply. Tread depth isn’t the only factor to consider when deciding whether to replace your tyres. 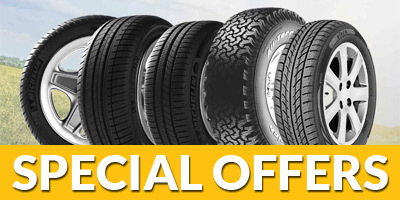 Tyres contains moisture and oils that help keep them supple and assist in dispersing heat. As a tyre ages it loses this suppleness because the oils evaporate out. Generally speaking, this means that any tyre that’s five years old – or older – should be replaced even if it’s got sufficient tread depth. And that includes your spare, which you should check every month or so to ensure that it’s adequately inflated and isn’t showing any signs of aging, such as cracking in the sidewalls. These days all tyres are stamped with a build date, although it’s not that obvious. It’s usually a four digit number, where the first two digits represent the week it was built in and the last two the year. For example, a stamp of “0804” means the tyre was built in the eighth week of 2004. A date stamp of “2307” means the tyre was constructed in the 23rd week of 2007. Motoring organisation the NRMA says that sometimes it is called to assist in changing a flat, only for its serviceman to find that the spare is too old or too worn to be legally fitted to the car.